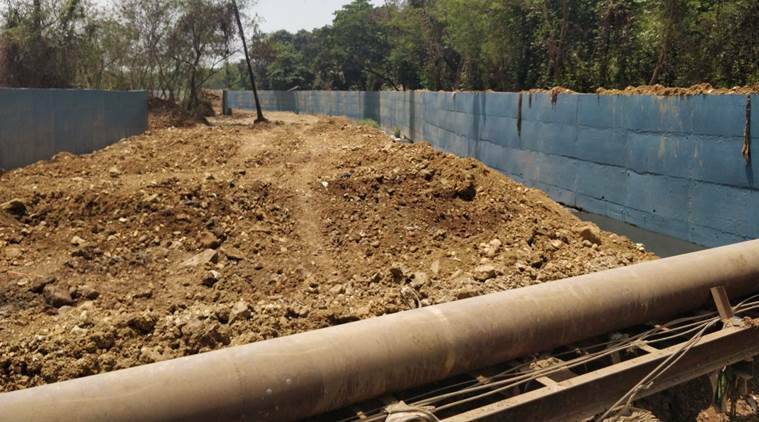 Activist Stalin Dayanand alleged that the Municipal Corporation of Greater Mumbai (MCGM) is building walls on the Oshiwara river in Aarey Colony and preventing its natural flow. According to Stalin, the activist, the work began when the MCGM was repairing the bridge on the river a few months back and now have begun walling the river. Drawing attention to an alleged attempt to concretise a river in the city, activist Stalin Dayanand, has written to several government agencies on Monday. He alleged that the Municipal Corporation of Greater Mumbai (MCGM) is building walls on the Oshiwara river in Aarey Colony and preventing its natural flow. “We are shocked to see massive walls being built on both sides of a river inside a forest. The site is close to the Goregaon exit of the Aarey colony. This is nothing but an attempt to dry up the forests and kill the trees in it. Even the riverbed is being filled up with mud and rubble. This is completely wrong and will kill the ecology of the region. The interaction of the rivers Mithi and Oshiwara with forests of Aarey is crucial for the survival of the river and the forests too,” he wrote in a letter addressed to State Environment Secretary, Maharashtra Pollution Control Board Member Secretary among others. According to Stalin the work began when the MCGM was repairing the bridge on the river a few months back and now have begun walling the river. “We are walling it to channelise its flow and allow the stormwater to reach the creek without much hindrance. Inside Aarey it spreads and there are many tabelas and houses inside,” said VH Khandkar, Chief Engineer of MCGM’s Stormwater Drain (SWD) department. Stalin alleges in the letter that the purpose of the wall is to create land for real estate. “What is the purpose of a wall on a river inside a forest if not to create land for real estate construction? There are hardly any human settlements inside this site of Aarey and if any have never faced any issues of flooding or damage. But with the extensive reclamation and concretising of the river sides and bottom, severe environmental damage is bound to happen. We reiterate that there is absolutely no need to waste public funds to destroy the forest and the river,” he wrote. However Khandkar denies that the construction of the wall will destroy the river. “It is not true that the natural flow of a river is disrupted by creation of a wall. There will be no damage to the river by the construction of the wall,” he said.